You want jewelry to accent your look, not aggravate it. With radiant diamonds, softly hammered texture, and an unfussy shape, Ippolita presents these earrings to pull together the ladylike looks that are ubiquitous this season. 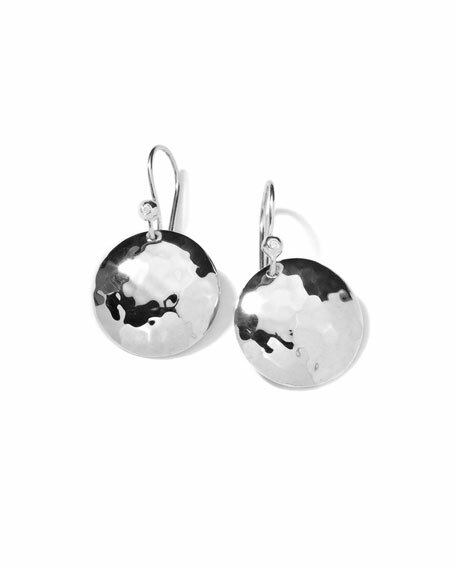 Hand-hammered sterling silver discs with bezel-set diamond details. Diamond, 0.02 total carat weight.